Idius Land! » About Idius Land! In 1994, I was in a seventh grade "life science" class with my next-door neighbor, Wes Begoon. We were learning about Linaeus' binomial nomenclature system and I began calling Wes Idius Begoonus as a joke. The word "idius" was supposed to resemble "idiot." Wes then began calling me Idius Sticklius. Eventually, after enough repetition, Idius became my nickname. Wes and I rode the same school bus. For the next few years, several of the younger people on the bus only knew me as Idius; they never knew my real name. That was rather amusing to me. The nickname lasted until 1999 when I graduated from high school. Once I graduated, I began using "idius" as my login name for online accounts. When I set up the first version of this website, it was in a directory called "idius" on a GTE server because idius was my GTE user name. The Land! part was added a few years later once the website became rather large. The exclamation mark was inspired by Yahoo! and AMD 3D Now! technology. 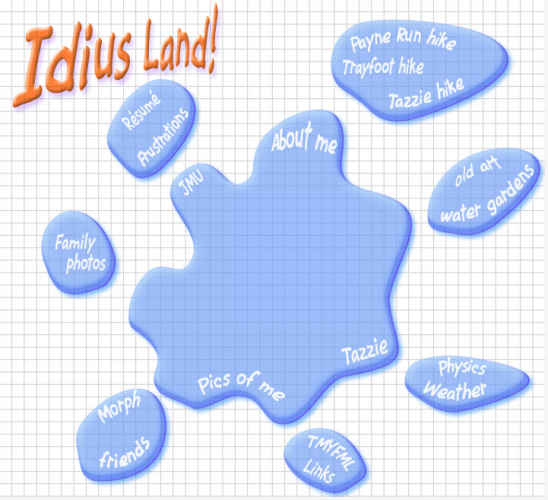 Idius Land! is a WordPress installation which provides the main structure of the website. Across the Universe is my personal web log. The comment system, plugins, theme, and search systems are separate from the Idius Land! WordPress installation. During December of 1999, I was a freshman physics major at James Madison University. I apparently didn't have enough to occupy my time, so I started learning HTML and playing around with web design. I had a few megabytes of space on my ISP server (GTE) and I learned how to access it, via FTP, to publish web pages. Back in 1999, this wasn't nearly as easy as it is today. 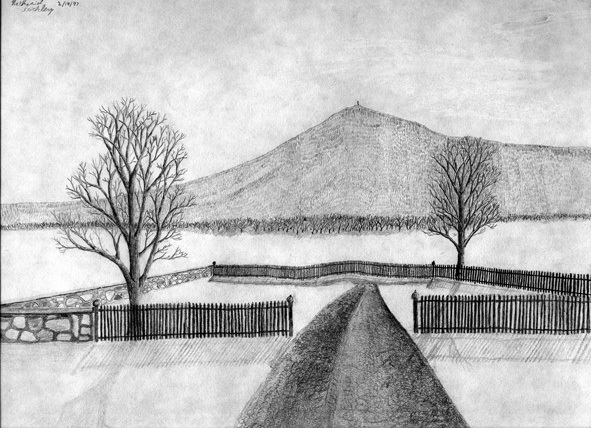 The first page I posted consisted of a single picture of the drawing, shown below. I stopped updating the page in 2004 because creating updates was time-consuming and Thefacebook.com emerged as a pretty good alternative. Thefacebook.com eventually became simply Facebook and it grew in popularity. I was busy teaching high school and working on my master's degree, so I didn't do anything with Idius Land! until June of 2009 when I finished the first year of my Ph.D. program at UC Riverside. Today everything is managed with WordPress, so it's easy to update and the site is much more convenient for sharing information with everyone.